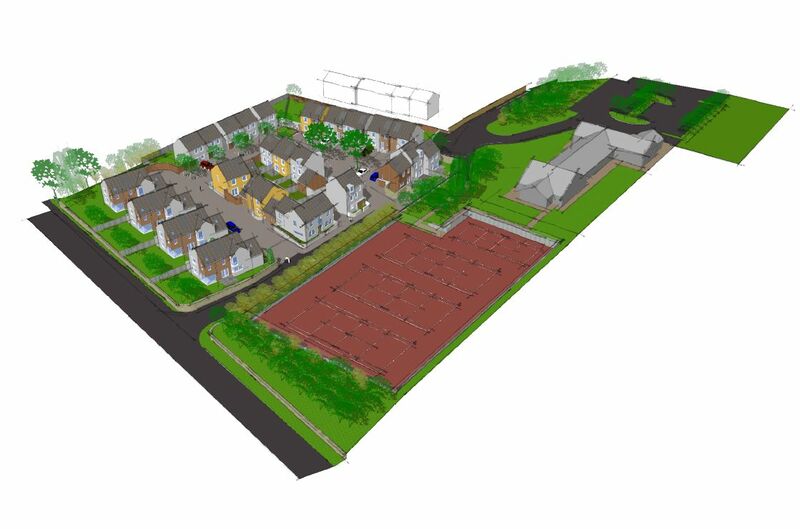 In 2009 after almost a year of negotiation with the planners an earlier scheme for 29 houses, including relocated and extended tennis courts was submitted to the authorities. A later modified scheme for 24 houses and improvements to the sports centre was submitted in 2010. The scheme is, to say the least, a little controversial but then these things tend to be as everyone wants new housing but not in their backyard. The existing site sits on the edge of Cockermouth adjacent to the Cockermouth Rugby Club. Part of the site is occupied by 3 sub-standard tennis courts and a pot-holed unfinished car park. These facilities are to be moved to the south eastern edge of the site and undergo some major improvements. An additional mini-tennis court is also proposed that is hoped will encourage a younger generation’s enthusiasm for tennis. By moving and upgrading the existing tennis courts and car park space for the new houses is created without any loss of sporting facilities. There is a mixture of 2, 3 and 4 bedroom houses. 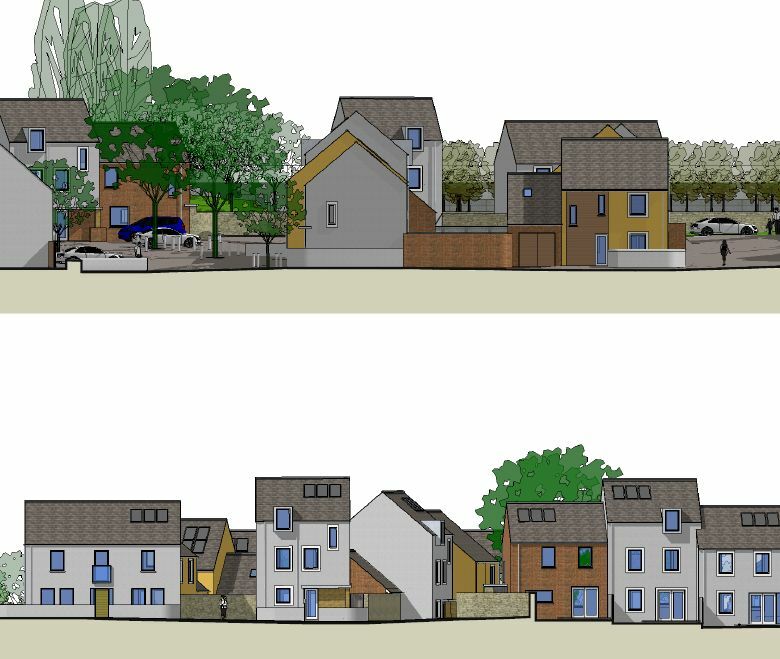 Since the earlier submission the scheme has been revised to develop 24 houses so that edge along Lorton Road is less densely developed.